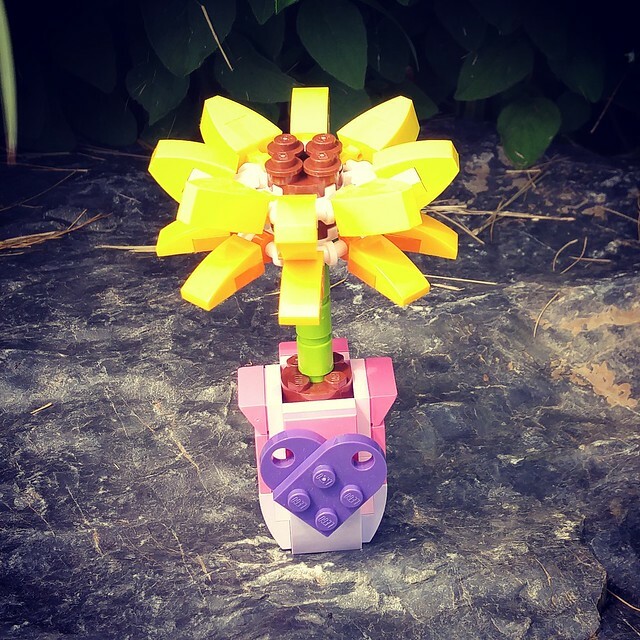 It’s been sunny and warm lately, so I thought this sunflower polybag would be an appropriate thing to build. Also, I’ve been playing a lot of Plants Vs. Zombies: Garden Warfare 2, so I have sunflowers on the brain… This is the 8th one of these sunflowers I’ve built and I love them! They have so many great little parts in them. There are 1 x 2 and 2 x 2 curved slopes in multiple colours and even inverted 1 x 2 curved slopes. I hope to find a couple more of these to make it an even ten, so I’ll have to keep my eyes open. Tomorrow I’ll have to find something a little more red, white and blue.